Studies have shown it takes only 21 days for a new habit to take root. If there’s a skill you’ve always wanted to take advantage of, the answer is just 21 days away with the Hay House 21 Days Series. Louise Hay’s teaching on affirmations have sold over 39 million copies worldwide and provided a healing technique that have comforted and healed countless people over the last 30 years. 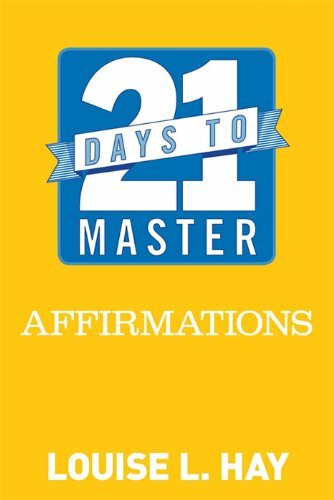 21 Days to Master Affirmations makes this infinitely powerful skill as easy and as quick to learn as its ever been. You’ll discover the power of simple, soothing words can be applied to any problem. Whether emotional or physical, Louise’s teachings are available for you to call on at any time. You’ll also learn how to create your own personalised affirmation that target persistent, perhaps lifelong personal issues and ailments. This e-book is the ideal introduction to the defining spiritual technique of the last 30 years, now presented in a format that fits into 21st Century living. Start healing your life in just 21 days!